How can a lead-gen campaign to launch a new model of a medical device be as empowering and as emotional as a brand campaign? Start by understanding the secret desire of people with type 1 diabetes (T1D). If people with T1D could choose a superpower, it wouldn’t be the ability to fly or superhuman strength. It would be knowledge. The knowledge to always know their glucose number and where it’s heading. And so, the Superpower campaign was born. T1Ds shared stories of what it was like to finally have the power to know. Dexcom, with the help of Marcus Thomas, gave people the new Dexcom G6 Continuous Glucose Monitoring System and then collected their stories to distribute through pre-roll, audio, display and paid social. 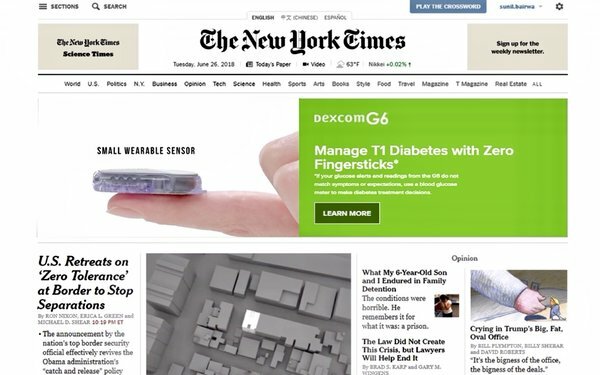 Offering a more in-depth look into the life of a T1D, a three-minute film by T Brand Studio was embedded into a custom article on The New York Times to show how the new G6 CGM enables T1s to live more normal lives without constant finger-pricking. With only 1.25 million type 1 diabetics in the U.S., third-party and first-party data were used to reach the niche audience, and conversions were tracked using CRM data. To increase lead quality and volume, pixels were placed strategically on the site and lead form to gather audience insights, plus build dynamic look-alike models using the best-performing data segments. Leveraging various digital touchpoints, the message was tailored for each audience and channel. Using a data management platform, the audience was re-engaged from the higher-funnel campaigns with more direct messaging to complete the lead form. A 17% improvement in cost-per-lead. Year over year, the campaign drove 24% more leads. Give your product to people who need it and let them do the selling by distributing their stories. Tailor your message for every audience and channel. Use pixels to get audience feedback. Use emotion to empower a brand campaign by listening to your potential customers. This won the Performance Media & Marketing category in MediaPost’s 2018 Creative Media Awards.